The Cincinnati bar scene continues to boom with breweries and dives, interesting cocktail joints and all-American sports bars. With so much to sample in this buzzing city, follow our guide to find some of Cincinnati‘s best bars. Cincinnati’s 19th-century German immigrants brought a beer-brewing heritage to the US that is still popular today. MadTree is one of the modern manifestations of this, and now oozes with a local spirit. MadTree is known for its high quality beer, offering 16 different brews on tap, many of which are exclusively sold on these premises. The venue features high-top tables and chairs and an outside patio, designed as a picnic setting. Many Cincinnati bars are known for the creativity behind their cocktails, and The Famous Neons Unplugged is arguably the most famous of the lot. Located in Over-the-Rhine, a neighborhood boasting a thriving nightlife scene, this bar’s big draw is the outdoor patio, enclosed by a brick wall constructed from reclaimed building materials. Movie nights, fantastic crowds, ornate architectural details and a large tree create a magical evening setting, while fire pits in the winter and deliciously good cocktails all make Neons a must. This venue is comprised of an eclectic lounge with skyline scenery and intimate lighting. For live music lovers, there are three different floors offering shows throughout the week. The Pavilion is best known for its four outdoor decks specially designed to offer one of the most delightful views of the Cincinnati cityscape. This bar is a celebration of straightforward American fare. With 100 different beers and the sound of blues in the background, it features a modern but rustic interior that gathers people from various walks of life. 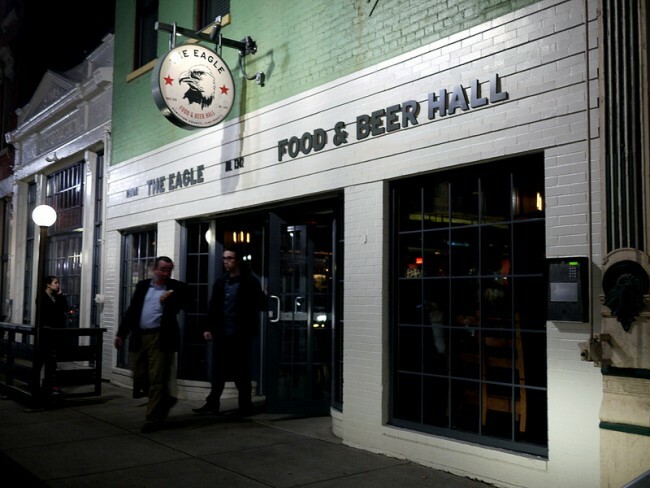 The Eagle was originally an old European beer hall, and its interior design includes furniture from an old post office. Perched atop a hill directly west of Downtown, Incline serves lunch and dinner and features a large selection of local craft beers on tap and in bottles, original cocktails, wine and liquor. 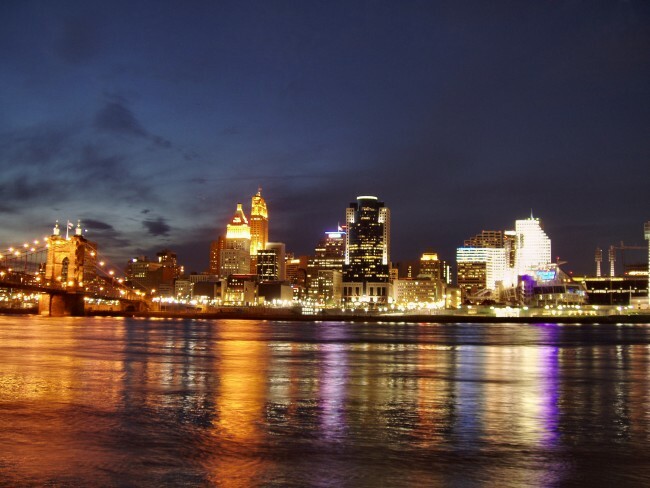 There are also splendid panoramic views of the Ohio River and Downtown Cincinnati. Diners ar Via Vite can enjoy drinks and traditional Italian snacks as they look out over Fountain Square. At night, Via Vite becomes a lively bar boasting a terrace and lounge on the second floor overlooking the city. 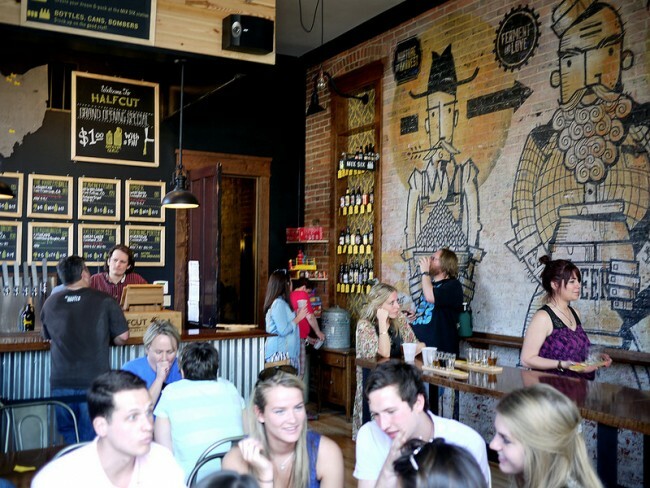 Located in the heart of Over-the-Rhine, HalfCut is Cincinnati’s source of the best local and rare craft beers. This spot will particularly appeal to brewery enthusiasts, as here clients can pick up a growler of draft fresh straight from the barrel, and drink it inside or take it home. With a history of over 150 years, Arnold’s Bar and Grill is Cincinnati’s oldest tavern. The interior comprises dark wood, art-plastered walls, old-school fixtures and there’s a cozy patio outside. 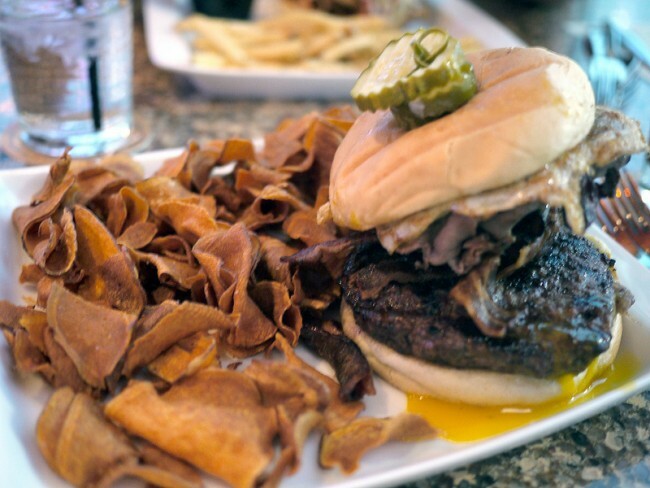 The bar attracts some of the most interesting crowds in Cincy, keen to indulge in America’s finest comfort food and well-priced drinks. Abigail is a little, Over-the-Rhine spot that serves Mediterranean tapas with wine on tap. 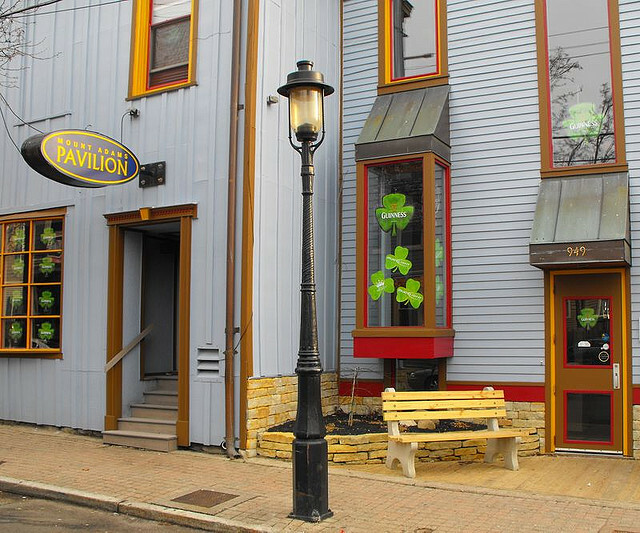 Located in the historic neighborhood of Cincinnati, walk-ins are the norm. Cincinnati’s history is closely related to that of brewing, owing this to Christian Moerlein, a Bavarian immigrant who lived in the area and started his own company in 1853. Nowadays, this riverside spot, overlooking the Smale Riverfront Park, draws some of the most interesting crowds in town. From the beer to the pretzels and beer cheese, there’s a tiny part of Bavaria in all Moerlein products. The beer selection is so large it will take several visits to Moerlein to try them all.